Noireland made its debut in 2017, bringing a plethora of crime authors from around the world together to inform and inspire crime lovers and aspiring authors about their writing journeys. Good news for crime fans, as the festival returns again this year and has an amazing lineup that has promised to be bigger, better and deadlier than ever. The festival will take place from on 8-10th March and authors announced for the event include, writer of the television series, ‘Vera’ Anne Cleeves, Stuart McBride and Sarah Vaughan, to name but a few. A stellar cast of crime and thriller writers have been lined up for a new crime writing festival taking place in Dublin in November. Murder One will feature a host international authors including Peter James, Val McDermid, Mark Billingham, Clare Mackintosh, Lynda La Plante, Lisa Jewell, Ruth Ware, Mick Herron and Robert Goddard together with many of your favourite Irish crime writers including Liz Nugent, Jane Casey, Patricia Gibney, Jo Spain, Karen Perry, Sam Blake and many more. A three-day long weekend crime writing festival running from 2 – 4 November, Murder One will also feature readings and interviews with Irish and international authors, panel events, a speakers’ corner and forensics and writing workshops. Murder One will be a broad church which will aim to accommodate the kindred genres of thrillers and spy fiction. International bestseller, Michael Connelly will open the festival with a special preview event on October 28th at 2.00pm in City Hall with Declan Burke moderating. Thereafter the main programme takes place in Smock Alley, one of Dublin’s premier event venues, from 2nd – 4th November. International bestseller Lynda La Plante brings festival attendees a unique free workshop for anyone interested in the world of forensics or Crime Scene Investigation. This interactive event is hosted by Think Forensic whose experts include CSI’s, forensic scientists, and senior investigating officers. In Lynda La Plante’s CSI Murder Room, get a hands on introduction to forensic science and be briefed on the crime of the day, inspired by Lynda’s newest thriller Murder Mile. Lynda herself will be interviewed by Niamh O’Connor on Saturday 3rd November, talking about Murder Mile and the Steve McQueen movie due out in November, based on her novel ‘Widows’. Murder One has been developed and will be curated by two of Ireland’s most experienced literary event programmers, Vanessa Fox O’Loughlin of Writing.ie, and Bert Wright formerly of Mountains to Sea dlr Book Festival and currently curator of The Dublin Festival of History and the DLR Voices Series. Working with Dublin City Libraries, Dublin City Events, and Dublin UNESCO City of Literature, the organisers aim to attract not just an avid local audience but also literary tourists from all over the world. With crime writing consistently the highest selling genre worldwide, the time is ripe for a great literary city to expand its festival portfolio and Murder One, it is hoped, will become one of the key events in the national and international crime festival calendar. It’s fair to say that the first Noireland International Crime Fiction Festival went off with a bang. With a packed programme and a well thought out schedule that made sure no one missed out on a precious moment, there was plenty of food for thought for the aspiring author as well as book lover. Set against the backdrop of the Europa Hotel, with its mirrored walls and winding staircases, it was the perfect setting for this atmospheric festival, slap bang in the centre of Belfast. On the Friday, I participated in workshops with authors, Gerard Brennan and Claire McGowan and both workshops, were informative and interactive as we engaged in some light writing exercises as well as given the opportunity to question published authors. The event kicked off on Friday night with a ‘Line Of Duty’ panel and Strabane author, Brian McGilloway quizzed the shows creator Jed Mercurio, actor, Adrian Dunbar and the show’s producer Stephen Wright about the success of the Northern Ireland show. Over the weekend, there were talks catered for everyone who has an interest in crime and varied from the research and ideas of genre, as well as some added humour to lighten the dark subject. Between each talk there was ample time and opportunity to browse the compact bookshop as well as chat to the authors and get books signed. I thoroughly enjoyed every moment of Noireland. It was wonderful to see such an exciting range of talent from across the water and to meet the people who have written for books and screen. With panels of authors featuring some of my favourite authors such as Ali Land, Liz Nugent and Sophie Hannah, as well as a packed out rooms for the events featuring the people behind ‘Line of Duty’ and Aidan Gillen. It was also exhilarating to be amongst such talent and to be able to listen about their own writing experiences as well as meet other like-minded people, who like myself are also tentatively starting their own writing journey’s. One particular moment that stood out for me, was when Brian McGilloway asked me if I was a writer. I was hesitant with my response as I am trying to be and I’m actively working on something at the minute, so I told him that I was trying to and his reply stayed with me all weekend. As an aspiring author, I found the festival to be an absolute fountain of information, packed with support and advice. I parted ways with Crime Noireland on a high, loaded with books, inspiration and a lot lighter purse. A monumental thank you and well done to David Torrans, his staff from No Alibis Bookshop (the best bookshop in Northern Ireland) as well as all the volunteers who were all so friendly and approachable. They did such an amazing job of organising a fabulous event and gave book lovers and writers an unique opportunity to network and engage. With a promise of another festival next year, I’m already counting down to 2018. Hopefully by then, I will have finished all the books that I bought at this year’s event! If you’re a fan of the crime genre, whether you enjoy reading the books or aspire to be an author, then Belfast’s debut crime festival is a must attendance. Noireland (great name by the way) will be running from 27-29th October and taking place in the Europa Hotel. 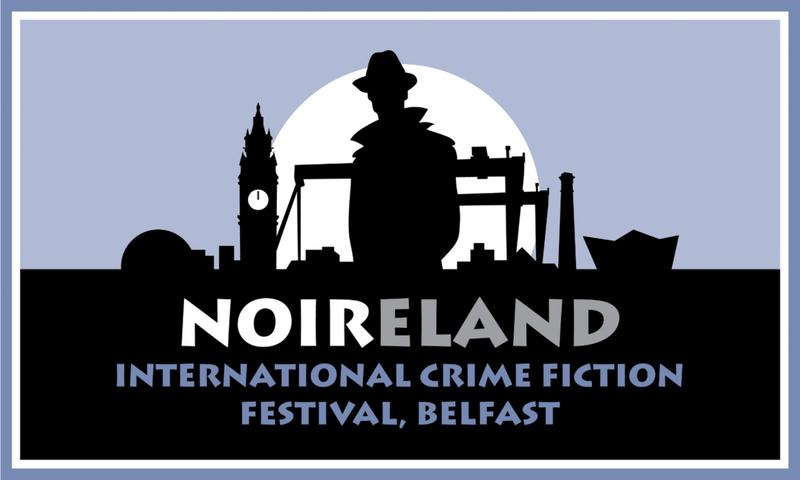 Organised by the people behind the amazing bookshop ‘No Alibis’ which is situated in Botanic in Belfast, this festival celebrates the island’s love of crime fiction. The 3-day event will be showcasing the amazing talent emerging from Ireland currently as well as some of the popular authors from all over the world, such as Sophie Hannah, Arne Dahl and Benjamin Black, to name just a few. Noireland International Crime was organised to provide a platform for the wealth of crime writing talent emerging from Ireland, showcasing it alongside some of the biggest international names in crime and thriller writing. With a jam-packed programme of great authors plus a selection of entertaining events, this debut festival is an exciting introduction to Northern Ireland’s love of all things crime and suspense. As a very new and independent organisation they rely on partnerships, sponsors, donations, ticket sales and volunteers to support their work.